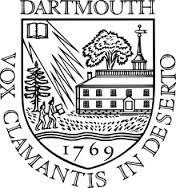 According to The Dartmouth a Safety Service alert was sent out Wednesday night in response to a possible burglary. An obscene message threatening sexual violence was left at a sorority house as interim Safety and Security director Keysi Montas wrote in the email. Safety and Security and Hanover Police are investigating the incident. Safety and Security officers are also providing extra patrols around the area and across campus. The alert asked anyone with information about the incident to contact Safety and Security at (603) 646-6000 or Hanover Police at (603) 643-2222. The New Hampshire Board of Medicine has reprimanded a New London pediatrician for her treatment of a child suffering from asthma. Anna M. Konopka, a licensed physician in NH for the last 49 years, must take 14 hours of continuing education over the next six months. In an agreement Konopka signed with the Board of Medicine the doctor denied any misconduct, but acknowledged the board could decide professional misconduct if the case went forward. The board faulted Konopka for not noting her patient’s weight or testing for levels of the medicine Theophylline and said she left the dosing decision up to the child’s parents. The board said Konopka also ordered prescriptions for bronchitis without consulting a pediatric cardiologist. Konopka is not affiliated with New London Hospital or New London Pediatric Care Center. Ms. Shannon Martin is the new Principal for the Newport Middle High School. The Newport School Board voted unanimously to hire Ms. Martin who is currently the principal at Black River Middle High School in Ludlow Vt. Prior to taking her current position in 2014, Martin taught for Newport High School for seven years in the Science Department. Ms. Martin was offered a starting salary of $88,000 for the 2017-18 school year. Martin will team up with Ms. Suzanne Boyington who will be the Associate Principal for the middle school. Boyington was the second finalist for the job. She joined the Newport School District in August 2016 as Assistant Principal. Boyington is currently the interim principal at Newport Middle High School. Authorities have released few details of an officer involved shooting of a motorist in I-89 in Hopkinton last week. A preliminary report was released yesterday (Thursday) that cleared New Hampshire State Police Trooper Michael Arteaga and New London Police Officer MacKenna, saying each were justified in the use of deadly force when they discharged their firearms at Bryan G. Evans of Quechee VT.
Once Evans’ criminal charges have concluded, the Attorney General’s Office will issue a fully detailed final report on this officer-involved shooting incident.